India is THE Growth opportunity of this decade especially for any manufacturing segment. Cast Strategies is uniquely qualified to help you understand India, to evaluate your market opportunities, and develop your entry strategies. India is wide open for business, even if you are a small to medium size business, you can readily enter and prosper in India. If you missed out on the China growth boom, don’t miss India! Unlike China, India’s growth to date has been largely driven by its services sector and not manufacturing. Having reached a critical mass of a rapidly expanding middle class, India’s domestic consumption is now driving a tsunami in the manufacturing sector. From cars to appliances and electronic goods, global OEM’s as well as the large Indian manufacturers are manufacturing their goods in newly built world class facilities. These OEM’s demand global quality, capabilities, and capacity from the domestic supply chain and is leading to the quickest transformation ever witnessed in manufacturing overall in any emerging economy. Simultaneous with this transformation is a huge infrastructure build out also of historic proportions. Many now believe India will soon reach sustained double digit growth rates in GDP leading to India reaching the size of the USA currently within 25 years or less. To meet its growth aspirations India has become very open to foreign direct investment. Having made tremendous strides in reducing its notorious environment of bureaucracy and red tape, India is now wide open for business. A well understood legal system, English as the common language, a tradition of Western accounting practice, a well educated and eager young workforce, and a strong entrepreneurial culture, makes India a natural destination for even small and medium-sized North American companies. Understanding the Indian growth story, including the cultural and social aspects of doing business in India. 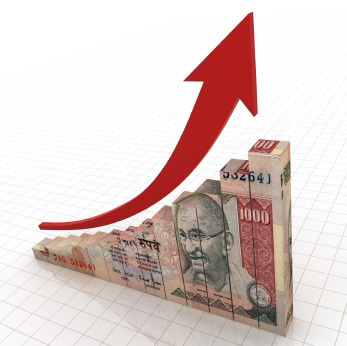 Evaluating the market potential for your business in India. Developing and implementing market entry strategies. Identifying potential Joint Venture partners and acquisition targets. From personal consultations to workshops for your business on India, to arranging all aspects of getting the market intelligence, assisting in setting up meetings, making travel plans, and even personal accompaniment while in India, Cast Strategies can help. Contact Mike at mswartzlander@cast-strategies.com to discuss your business opportunities in India.